People who have lived in Addis for a while know that the Armenians have a strong presence in the city, even if today very few of them remain in Ethiopia. The Armenian church in Piassa is still a landmark as well as the Armenian club in the Siddist kilo district. 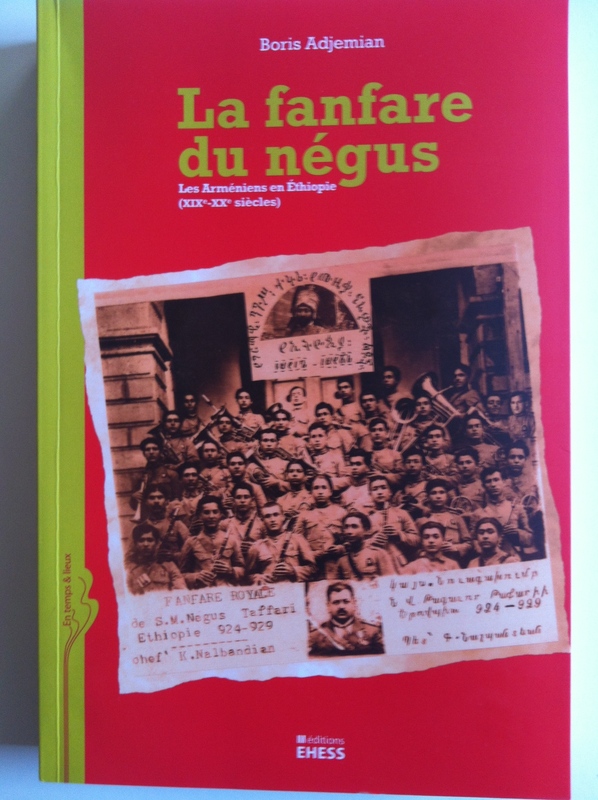 Now, a new book just released in French: “La Fanfare du Negus”, tells the story of the Armenian community in Ethiopia over the 19th and 20th century. Many Armenians arrived in Ethiopia in the 19th century. At the time, the Armenians, subjects of the Ottoman empire, felt increasingly more threatened as a Christian minority. They were considered as second-class citizens and were the victims of persecution from the Turkish authorities. The situation degraded and eventually culminated in the 1915 genocide whereby an estimated one million Armenians were systematically exterminated. Armenians and Ethiopians share the same religion and their respective churches in Jerusalem, which at the time was part of Ottoman Syria, were very close. Several Armenian saints were even adopted by the Ethiopian church as well. So Ethiopia became a natural destination for Armenians seeking to flee the brutality of the Ottoman empire. The relationship between Armenians and Ethiopians goes even further back. When in the 17th century, emperor Fasilides decided to sever the links created with the Portuguese catholics and limit their presence in the country, the Armenians continued to freely travel in the whole of Ethiopia. One of the first and better known Armenian to have settled in Ethiopia was Boghos Markarian (1830-1922), who acted as Yohannes IV’s close adviser during his rule in the middle of the 19th century. He later pleaded allegiance to his successor, the emperor Menelik II. The Armenian immigration increased substantially towards the end of the 19th century under Menelik II who was very welcoming towards the Armenian people. As a ruler he wanted to open up to the outside world without submitting to a colonial power, so he used mainly Armenians as Court servants and allies. The Court jewellers were Armenians, so was the official Court photographer as well as the Court governess, midwife and personal secretary. For Menelik II, they were bringing modernity and new technologies to his Court without the threat. A number of inter-mariages between Armenians and Ethiopians took place then. Some 30 years later, the emperor Haile Selassié adopted 40 Armenian orphans to form his official brassband. He had met them during an official visit to the Armenian church in Jerusalem in 1924 and had asked the Armenian Patriarch permission to adopt them under a five year contract. They are known as the Arba Lijoch (40 children), and were playing (even if very badly) at every single official state visit. 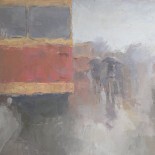 At the end of the stipulated period, a third of them left Ethiopia and the others stayed. Over time, Ethiopia had become a true homeland for the Armenian community who lived through turbulent political times alongside the Ethiopians. When the Italians occupied the country in 1936, they were aware of the close links between the Armenians and the Ethiopian Royal Court. However, today, it is a vanishing community with an estimated 80 Armenians still living in Addis, down from 1,200 in the 1930s. Most of them left in the wake of the 1974 revolution, just like many Ethiopians did. A couple of Armenian stores are still very vibrant in Piassa, such as the Karibian curtain store, which is owned by Doctor Karibian’s father (mentioned in a previous post). The Aladin restaurant in Bole is run by an Armenian family as well, and so are a couple of jewellery stores. Of all the other foreign communities in Ethiopia such as the Italians and the Greeks, the Armenians are the only ones to hold an Ethiopian passport. I met members of the Armenian community the night of the book presentation at the Alliance. I was surprised by their warmth and strong solidarity, with that unspoken understanding that they will always help each others no matter what. This entry was posted on February 20, 2015 by Salambo in Living in Addis, People of Addis and tagged 1915 Armenian genocide, Addis Ababa, arba lijoch, Armenian church, armenian club, Armenians of Ethiopian, boghos Markarian, Boris Adjemian, Ethiopia, fanfare du Negus, haile selassie, Menelik II, piassa.